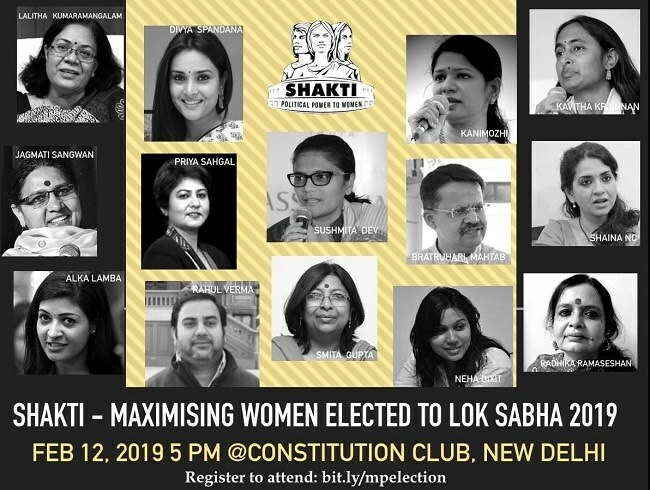 Shakti, which was founded in December 2018, brings together women from different walks and political leanings with the agenda to encourage more women participating in politics, and subsequently have better representation. In the past, Shakti has done several campaigns like Call your MP and batting for the revival and passing of the Women’s Reservation Bill as well. The Women’s Reservation Bill was approved by the Rajya Sabha in 2010 but relapsed in the 15th Lok Sabha. Last month, a delegation from Shakti had met DMK Working President MK Stalin and urged his party to give 50% tickets to women candidates in the upcoming general election. “In the last election, a mere 5% of tickets were given to women by the DMK. Women are half the society and the social justice legacy of DMK has little meaning if political justice is not done to Tamil women. Unless political parties change their own internal mechanisms for women's representation in election committees and candidate selection process, it will be the same old recycled men candidates and India cannot make much progress,” Shakti’s co-convener Tara Krishnaswamy had said.